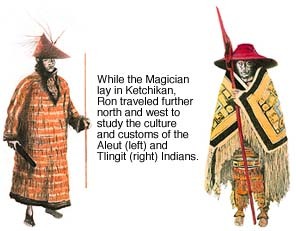 It was Tuesday, the twenty-seventh of August when, under dark and gathering storm clouds, Ron brought the Magician to a small anchorage at Metlakatla Pass, the closest point for the last leg to Alaskan waters. With the Magician fixed on a short anchor line to keep her from swinging into rocks and shoals, the gathering storm unleashed its fury. The wind became so fierce and the quarters so tight, that he was forced topside to first set out all of the yachts anchors to keep her from slamming aground, and then again and again to adjust the lines as the angle of attack of the storm changed. For seventy-two hours the wind screamed across the deck with enough strength to lift him into the air in a careless moment. With rain falling at almost an inch an hour, Ron watched the barometer. In the 1940s, it was the only tool to predict changes in weather, and a rising needle indicated a low pressure cell of bad weather was moving off. Ron made a decision that he would hoist anchor the moment the needle started to rise, sailing out into the tail end of the storm. Thus, at noon the following day, with a breeze from the southwest to drive Maggie through the swells at about five knots, they sailed on into the angry overcast. The elements, however, did not relent. For ninety miles Maggie bashed through sea and rain, propelled by her sails through the blind of the night, with only momentary glimpses of the shoreline. As dawn broke, not only did the seas calm, but Ketchikan, Alaska was in sight and Maggie gently sailed into the rain softened harbor. 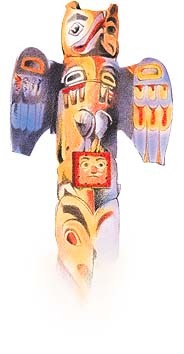 Ron wrote triumphantly in his log, "Ketchikan we have won. And maybe tomorrow we will even go ashore." Indeed, he had won--proving his small 32-footer seaworthy of such a voyage. The nomograph had worked. And the hundreds of photographs and notations were ready to be sent off to the Hydrographic Office to find their way into charts and piloting books of the region, and into the Navys coastal defense plans. The August 31 edition of Ketchikans daily newspaper announced his arrival. 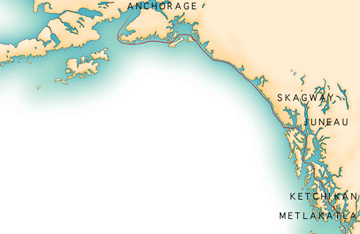 Due to the success of his voyage and his celebrated status as a writer, Ron was soon invited to the local radio station, KGBU, "The Voice of Alaska." The station created a special series of programs, called the "Mail Buoy," in which Ron offered advice to local mariners. In fact, Ron found himself involved in a number of activities in Ketchikan, not the least of which was the discovery of a Nazi spy. The owner of KGBU, Jimmy Britton, was interested in Rons direction-finding equipment, hoping to track down the source of local interference--thus the trail to the potential saboteurs transmitter was isolated, the FBI alerted, and the spy captured. 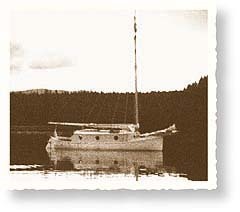 Three months after arriving in Ketchikan, Ron and Maggie set sail home. It was the first week of December, a cold winter was moving in from the Arctic and ice was already forming when Ron began his return voyage to Washingtons Puget Sound. In fact, if he delayed any longer it was likely he would be trapped in Alaska until the spring thaw. With the wind now behind Maggie, the yacht was able to make good speed under sail and the steep seas drove her faster still. "The lights went by like telegraph poles from a train," he wrote. "Drive, drive, drive, run, run, run until things got blurry." Sailing hard and long, with little sleep or respite in advance of the winter seas, Ron managed the voyage in just under two weeks--a small fraction of the time the northward leg had consumed. Upon his arrival in Maggies home port of Bremerton, Ron was greeted with even more enthusiasm than had met him in Ketchikan, since here was one of their own, long overdue and feared for. Newspapers wrote of his adventure. The Navy sought both his materials and a full debrief. And Maggie, in need of repair, was soon in the hands of the boatyard.